I’ve known since entering adulthood that my calling in this life was to care for people. I graduated from Western Kentucky University in 2001 with a Bachelor of Science in Social Work and again in 2005 with a Masters in Social Work. After moving to Arkansas, I began a counseling career at Ozark Guidance working with adolescents and families affected by abuse, trauma and mental illness. A year later, we were sent by Saddleback to Northwest Arkansas to plant Grace Hills Church. I joined the Ozark Guidance team once again, providing therapy to foster children and foster families. Currently, I serve part-time on staff at Grace Hills overseeing recovery ministries and women’s discipleship. 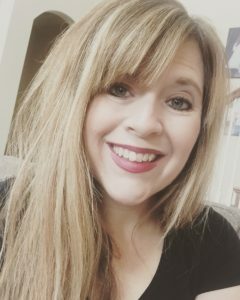 While I provide individual, marriage, and family counseling, I have developed a passion and a special desire to help women who are battling fear, trauma, and depression. I have had the opportunity to walk alongside many women and help give them the tools to become unstuck in their journey and to not just move forward, but to flourish. I have specialized training in the areas of recovery and trauma. My husband and I reside in Northwest Arkansas with our three kiddos, about whom we are crazy! My greatest desire as a therapist is to give you the space to tell your story, help you identify your struggles, and then move forward toward healing.